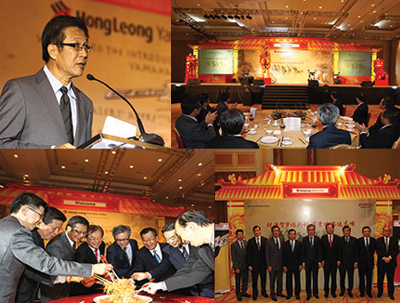 Genting International Convention Center, 12 January 2014 – Hong Leong Yamaha Motor Sdn Bhd (HLYM) celebrated their Dealers’ Appreciation Chinese New Year dinner with the introduction of the 2nd generation Yamaha Ego LC with YMJET-FI, fuel injection system. The activity-filled dinner event was attended by Hong Leong Yamaha Motor dealers and guests from across the nation. They were feted by a Lion Dance and other entertainment performances to usher in the year of the horse in style. The new Yamaha Ego LC has been developed around the concept of an automatic machine that has a sporty engine performance, economical and enjoyable to ride, traits that appeal to the modern automatic bike user. With the incorporation of the YMJET-FI fuel injection system developed by Yamaha Motor Co Japan, the Yamaha Ego LC has been proven in other Asean markets for strong engine performance and improved fuel efficiency with outstanding reliability. “The 2nd generation Yamaha Ego LC is powered by a liquid cooled 4 stroke, 125cc single-cylinder engine with YMJET-FI fuel injection system. 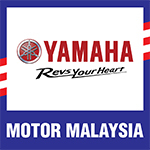 The power-plant mounted onto a compact body with new styling front lamp, body panels and tail lamp comes in prominent new colours to distinguish itself from the rest of the other automatic models available in the market.” said Mr. CH Ng, Managing Director, Hong Leong Yamaha Motor. “The new colours and graphics adopted for the new Yamaha Ego LC are catered for the trend-conscious automatic bike users that commute to work, school or for fun rides with friends” added Mr. CH Ng. “The qualities of a great automatic bike is not only the top speed of the bike but a fine balanced engine with strong performance, low fuel consumption, stylish body design with striking colours coupled with all round riding performance in terms of handling and maneuverability that makes the riding experience most enjoyable. The new Yamaha Ego LC has all these qualities and even more. We, at Hong Leong Yamaha Motor are confident that the new Yamaha Ego LC will be well received by the motorcycle market” said Mr. CH Ng.